Advance Physical Therapy offers physical therapy in Valley Stream, Astoria, and Wantagh. At Advance Physical Therapy our “one to one” approach focuses on your individual needs in order to get the best results possible. Our motto here at Advance Physical Therapy is “fast, effective treatment-one patient at a time.” We are opened Monday through Saturday, so call us at our Valley Stream location today at 516-284-4796 or at our Wantagh location at 516-473-0003 to schedule an appointment that works for you! CBC Center for Sports and Physical Therapy offers physical therapy in Babylon. At our friendly and welcoming office we treat every patient as an individual. Our focus is on getting our patients better and to make their road to recovery a smooth one. Here at CBC Center for Sports and Physical Therapy you matter, you are not just another patient to us. Call us today at 631-488-3065 to schedule your appointment! East Islip Physical Therapy & Rehabilitation offers physical therapy in East Islip. We are a privately owned practice and have been treating patients in and around our community for more than 25 years. At East Islip Physical & Rehabilitation, we specialize in neurological, orthopedic, and biochemical dysfunctions by using hands on manual physical therapy. Our physical therapists use a functional rehabilitative approach to make sure our parents get back to their everyday activities. Call us at 631-343-5012 for more information and to make an appointment today! East Northport Physical therapy offers physical therapy in East Northport. When you hear that you need physical therapy you want to make sure that you are getting the best possible treatment that you can. You want a personalized setting where you do not feel like just another patient or number. You want a highly trained and certified physical therapist to treat you to ensure that you receive the treatment that you need and deserve. Well, East Northport Physical Therapy does all that and more everyday. Call us today at 631-904-7104 to make an appointment with one of our excellent physical therapists. Generations Physical Therapy offers physical therapy in West Islip. We are an out patient physical therapy office treating patients 7 and up. Our highly trained and professional physical therapists offer the best physical therapy in West Islip and the surrounding areas. We customize our treatments to make them best for you. Not only do we help you on your road to recovery but we also teach you how to continue your improvements on your own. Call us at 631-904-7095 to make an appointment today! Glick Physical Therapy offers physical therapy in Huntington. We are a family owned office who has been serving the community for over 10 years. Our office specializes in orthopedic and neurological conditions in a one-on-one way. At our office you will always see the same licensed physical therapist who will make sure your recovery and care is their main priority. Call us at 631-488-3025 to make an appointment today! Park Physical Therapy offers physical therapy in Massapequa. We feel honored to have treated thousands of patients in Massapequa since we opened our doors in 1993. We are so grateful that many healthcare professionals trust us with the care of their patients and that family members trust us with their loved ones. Our aim here at Park Physical Therapy is to provide our patients with high quality, personal care. Our goal is to get our patients back to their regular functions and normal activities in the quickest and safest way. We work with several doctors to make sure that our patients are receiving the appropriate and excellent treatment. Call us at 516-962-2912 to make an appointment today! 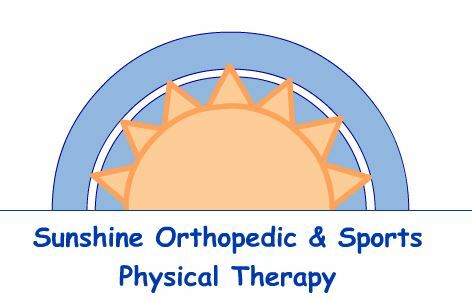 Physical Therapy Alliance offers physical therapy in Lindenhurst. Our goal at Physical Therapy Alliance is to get our patients back to their normal activities as quickly and efficiently as possible. We want all of our patients to leave this experience with a positive and satisfied attitude. Our “one to one” approach assures our patients that we are dedicated to them as an individual. Call us today at 631-546-7838 to make an appointment with one of our excellent physical therapists. Physical Therapy Experience offers physical therapy in Smithtown. At Physical Therapy Experience we treat our patients on a one-to-one basis. We treat our patients using the most up to date and innovative technology that there is today to ensure that they are getting the best treatment they can. Our licensed New York State physical therapists mission is to help patients get back into motion! We do this by helping our patients exceed their potential by providing them with quality care. Call us today at 631-904-7082 to make an appointment today. Progressive Physical Therapy & Rehabilitation offers physical therapy in Greenlawn. At Progressive Physical Therapy & Rehabilitation we are a family owned practice since 1994. We specialize in treating patients with neurological, orthopedic, and biochemical dysfunctions by using hands on manual physical therapy. At our practice we have a state of the art SwimEx Aquatic Therapy system. This system allows for early rehabilitation after surgery or injury. We treat all ages from pediatrics to geriatrics who are suffering from conditions such as Osteoarthritis, Rheumatoid Arthritis, Pre/Post Surgery, Back and Neck Injuries, Total Joint Replacement, and Balance Impairments, just to name a few. Call us at 631-246-4350, for more information and to make an appointment today! United Rehab Physical Therapy offers physical therapy in Ronkonkoma, Hauppauge, Farmingville, and Shirley. We at United Rehab Physical Therapy offer compassionate physical therapy care using the best evidence based treatments, patient centered treatments, one-on-one treatments. Our highly trained and professional physical therapists will give you highly personalized treatment so you can back to the activities you love doing! Call us and book an appointment with one of their top physical therapists today!